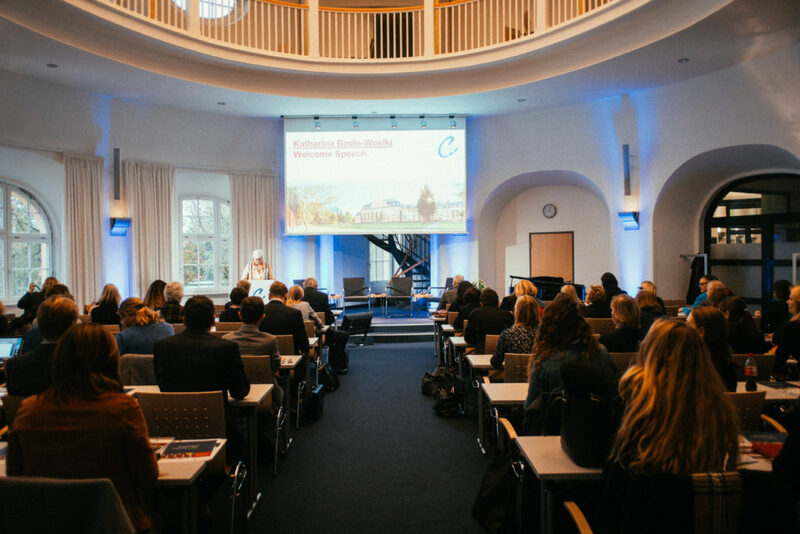 The 6th CEFL Conference entitled Plurality and Diversity of Family Relations in Europe took place in Hamburg at Bucerius Law School from Thursday 1st to Saturday 3rd November 2018. CEFL experts and other legal scholars delivered presentations on the following subjects: CEFL’s Draft Principles of European Family Law Regarding de facto Unions, Family Law and Family Sociology, Family Migration and Private International Law, Revision of the Brussels IIbis Regulation, and Women’s Fundamental Rights. In addition selected young researchers were provided the opportunity to present their research in parallel working groups on the following subjects: the developing concept of parentage, the role of the child in family proceedings, and extra-judicial divorces. 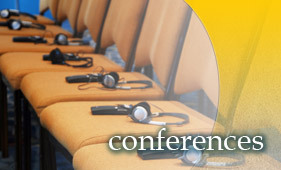 The complete conference agenda with abstracts is available here. The fifth CEFL conference centres on three themes involving the new Principles of European Family Law regarding Property Relations between Spouses as well as topics, which are currently at the forefront of policy debate and academic discussion. The first topic focuses on the presentation of the CEFL’s current work on Principles of European Family Law regarding Property Relations between Spouses. This is the CEFL’s third working field, following the successful publication of its Principles regarding Divorce and Maintenance between Former Spouses (2004) and Parental Responsibilities (2007). It thus picks up on, where the conference in Cambridge provided the first impressions. The rights and duties of spouses, marital property agreements and two matrimonial property regimes will be presented: the participation in acquisitions and the community of acquisitions. Additionally, the impact of the proposed EU private international law regulations for spouses and registered partners for international couples and their property relations will be addressed. The second theme concentrates on the growing number of countries which legislate on non-formalized relationships. At the core of this session is the position of cohabitants upon the termination of their relationship either by means of death or dissolution. Here the common law countries – especially Ireland with the Cohabitation Act 2010 – as well as the Nordic countries with new legislation in Norway (inheritance) and Finland (compensation) are worth a closer look. Last but not least, the current decisions of the European Court of Human Rights concerning the rights of biological and social fathers will lead to a session on social, biological and legal parentage. It will end with a panel discussion with the participation of German Constitutional Court Justice Gabriele Britz and Angelika Nussberger, Judge at the European Court of Human Rights. The conference aims to enhance the exchange of ideas and arguments on comparative and international family law in Europe in their respective cultural contexts. It is open to academics as well as practitioners. The conference will provide selected young researchers the opportunity to present their innovative research in parallel working groups, including the role of legal culture in European family law. The fourth conference of the Commission on European Family Law: The Future of Family Property in Europe was held at the University of Cambridge in April 2010. 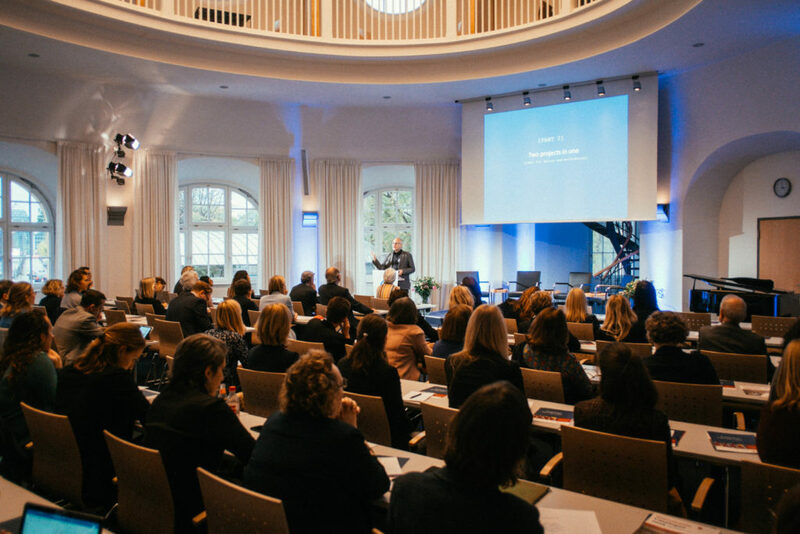 The conference aimed to enhance the exchange of ideas and arguments about comparative and international family law in Europe, and attracted a wide audience of academics and practitioners from all over Europe and beyond. The theme of the conference was chosen in light of the CEFL’s current work on Principles of European Family Law regarding Property Relations between Spouses. This is the CEFL’s third working field, following the successful publication of its Principles regarding Divorce and Maintenance between Former Spouses (2004) and Parental Responsibilities (2007). The complex and technical nature of the field of comparative matrimonial property law mean that deliberations on the current project will continue into 2011, but initial findings of the project were presented at the conference. The conference plenary sessions, which opened with a keynote lecture from the Rt Hon Lord Justice Thorpe, also considered the autonomy of spouses and cohabitants to make agreements regulating their property relationships, and the increasing unification of private international law in family matters pursued by both the Hague Conference on Private International Law and the European Commission. As at previous conferences, early career researchers presented their research in three parallel working groups. This year’s themes were child maintenance, the protection of the elderly, and freedom of testation and the protection of family members. For full details of the papers presented, refer to the programme. The conference proceedings will be published later this year by Intersentia. Click here for more information and a link to the conference website. The CEFL’s third conference is centred on four themes currently at the forefront of policy debate and academic discussion. The harmonisation of family law in Europe, in particular in the Nordic countries, and the USA forms the basis for the first general theme. The second core topic of discussion will be the rights of children and the responsibilities owed to them. Papers will also be presented on the recent developments in cross-border family matters and finally the position of cohabitants upon the termination of their relationship either by means of death or dissolution will be addressed. This last topic has also been chosen as CEFL’s third working field. At the previous two CEFL conferences which took place in 2002 and 2004 particular attention was paid to the methodological aspects of the development of a European family law. In this context the first Principles in the field of divorce and maintenance between former spouses were discussed. At the third CEFL conference the second set of Principles regarding parental responsibilities will be presented. Once again this conference will provide selected young researchers the opportunity to present their research in three parallel working groups. In short, this conference will focus on contemporary European family law from a truly comparative perspective and enable the continued exchange of ideas regarding future challenges. The Commission on European Family (CEFL), established in September 2001, is proud to present its first results. Based upon in-depth and comprehensive comparative research that includes twenty-two European jurisdictions, Principles on European Family Law have been drafted in the field of divorce and maintenance between former spouses. The Principles, expressed in the form of provisions, must be read in conjunction with the supplementary comparative overviews and comments, which elucidate the rules and offer comparative information. While the Principles should not be considered to be an entire model law, they may be used as a frame of reference for national, European and international legislators. In drafting the Principles the CEFL has applied both the common core method as well as the better law approach. The time has now come to place the choices that have been made before scientific scholars and practitioners alike in order to obtain a critical assessment and discussion concerning the CEFL’s work to date. In addition, the initial results of the CEFL’s next working field – parental responsibilities – will be presented. In short, the conference aimed to widen the discussion regarding the first steps towards a European Restatement of Family Law in general and CEFL’s first achievements in the harmonisation process in particular. Is the harmonisation and unification of family law in Europe both necessary and possible? The scientific debate surrounding this increasingly important and pressing question has so far been restricted to publications and discussions on the national level. However, a group of scholars from various European countries have recently taken the initiative to constitute the “Commission on European Family Law” with the aim of being able to study the feasibility of and to initiate practical steps towards the harmonisation of family law in Europe. Extensive preparatory work has been undertaken. Therefore, the time has now come to organise for the first time in European history, a truly international conference where the experts can discuss all the aspects of this question concerning family law of all European countries. During this conference the various arguments for and against unification will be considered from a broad perspective. The experience of and initiatives towards unification from the U.S.A., where each state has its own family law, will be presented and discussed by an American family law expert. Not only will the established experts in Europe be given the floor, but young researchers will also be expressly invited to contribute to the conference. Finally, the Commission on European Family Law will present the initial results, which it has achieved in the field of divorce and maintenance between former spouses. In short, the conference aimed to provide a strong an very necessary impetus in the European countries to seriously consider the problems and possible solutions for reshaping national family law in accordance with the needs and purposes of the emerging “European citizenship”.